What's the Difference? Ikea vs Custom Kitchens — Rebecca Hay Designs Inc. When I design kitchens, I always start with creating a design based on the presented budget. If my clients have a smaller budget to work with, I offer the use of big box store kitchen cabinetry, such as Ikea. Ikea kitchens can be a really great option for tight budgets while achieving a clean modern aesthetic. When I used to work in television, on both Income Properties with Scott McGillivray and Property Brothers, we used to exclusively use big box store kitchens. So I was able to get very good at being creative with Ikea cabinetry. However, my personal preference is to use custom cabinetry in my designs because of the character and uniqueness it adds to a space. The differences between custom and Ikea cabinetry are very simple and straightforward. A big pro to using Ikea cabinetry, is that stock is available most of the time. You can purchase the cabinetry and essentially pick it up the same day. Having on-demand stock of cabinetry is great when you are on a tight timeline because nothing will be delayed. A con to using Ikea cabinetry is that they only come in standard sizes which creates a challenge for you if you are working with an awkwardly shaped space. The only other snag you may run into is if something has been backordered or discontinued. In this scenario, Ikea does offer alternative options that you can pick, just as quickly, but it may be an aesthetic compromise. When you choose to do custom cabinetry, there is usually a long lead time. Custom cabinetry takes time to design and make, since you are starting from nothing. Custom millwork companies don’t normally have anything in stock because every little detail is customized. When you are working with custom cabinetry you run the risk of delaying your project if any issues do arise. A great reason why I prefer to work with custom millwork companies is the fantastic customer service. Custom millwork companies are full service from design to installation, and if there are any discrepancies, they hold full responsibility and fix any issues. You, as the client, are not on the hook for any discrepancies. 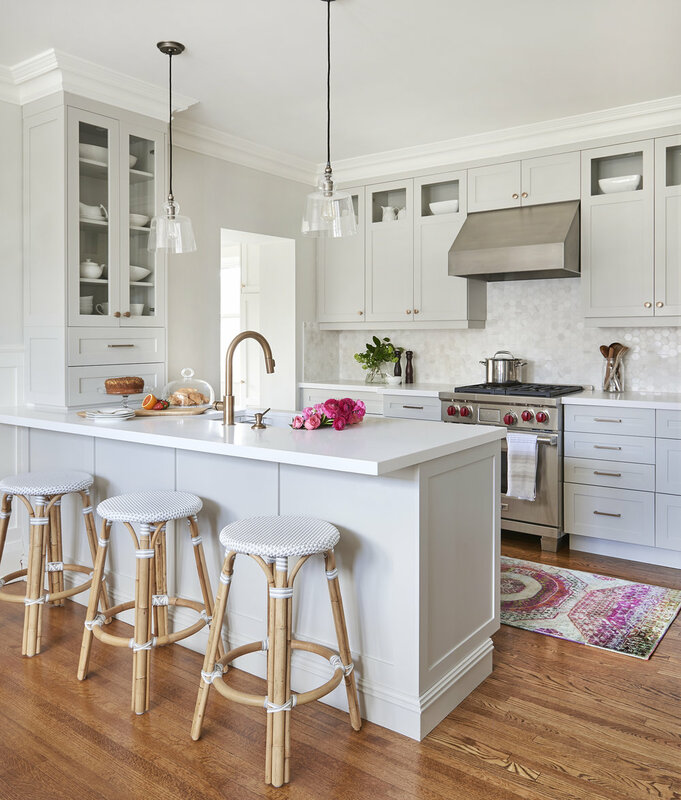 Since the custom millwork company is responsible for the project from the point of taking measurements onward, they provide full service until the completion of the project. Using big box stores, like Ikea, requires you to take a more active role, such as, you, the client, are responsible for taking measurements. Therefore, if there is a discrepancy with the measurements, and the cabinetry you purchase doesn’t fit well into the space, you are fully responsible for that mistake, and you must do the leg work to fix it. Additionally, Ikea and other big box stores do offer installation services, but always at an extra cost, and again you must be the one to coordinate. With custom cabinetry you have endless possibilities and you are able to be extremely creative with every aspect of the cabinetry. Meanwhile, with Ikea kitchens, you are stuck with the options they offer and you are far more challenged to create an unique space. It goes without saying that the biggest difference between custom and Ikea cabinetry is price. If you took an Ikea kitchen with the same configuration, and you made it custom, it would realistically cost you 3 times the price, but every service is included. The decision of whether to choose custom millwork or Ikea cabinetry is all yours. It all depends on what you value most, time versus money. If you value your time, and would prefer to hire someone to take some responsibility off your shoulders, then custom is the way to go. If you want to save some money and feel comfortable taking on more responsibility and putting more time into the project, using Ikea or another big box store is perfect for you.